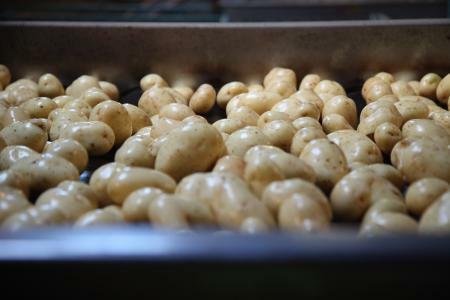 Bennett Potatoes at Scawby, near Brigg, Lincolnshire supplies a wide variety of size- and weight-graded potatoes to the catering, wholesale and export markets, as well as providing fresh pack for retailers. 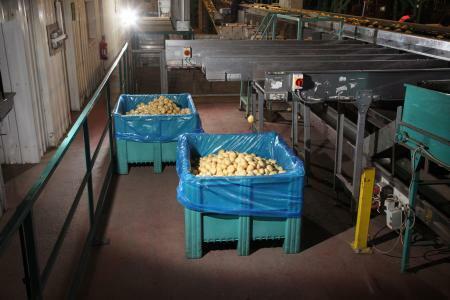 Describing the business and its processes, Ian Bennett, said: “We have been in business since 2009 and pack 40,000 tonnes of potatoes a year. We buy from growers and without the hard work and expertise of farmers across Lincolnshire and Yorkshire we would be hard pressed to supply our loyal customer base with the tastiest spuds in the land. We wash the potatoes, sizegrade, transport and pack them to our customers in Dolavs. We purchased 312 Dolavs in 2011 and every single one is still in use today. “We usually handle size-graded potatoes in wooden potato boxes. The Dolavs give us that high-care security edge because they are plastic. This enables us to put our product into our customers’ high-care environments so they can process their products to then go on to major retailers.